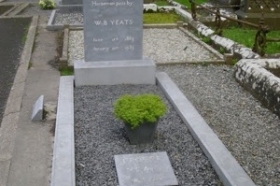 Unique Irish Tours will combine the two greatest literary celebrations in Ireland--Yeats's birthday festivities in Sligo and the Bloomsday celebrations in Dublin--into a truly memorable tour. 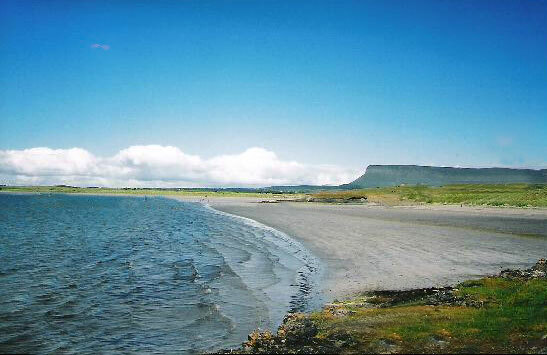 June 13th is the birthday of ireland's greatest poet, William Butler Yeats, and Sligo is the place to celebrate it. 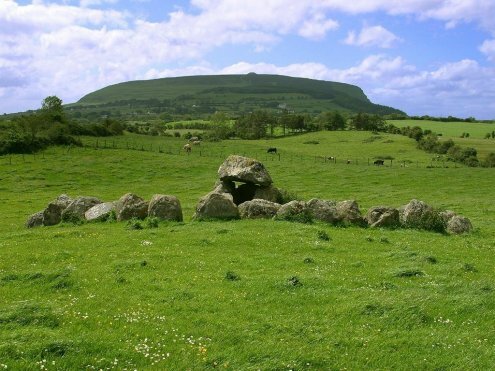 No landscape in all of Ireland was so evocative or as important as Sligo in shaping Yeats's literary imagination, and we will experience this special place as he did--through the beautiful scenery and the myths and legends that inspired Yeats's life and works. June 16th is the day on which James Joyce's great novel Ulysses takes place. Each year here are events and celebrations all around the world to mark the anniversary. No place does it better than Dublin, where the novel is set and where you can still follow in the footsteps of Leopold Bloom and Stephen Dedalus. Join us for the 109th anniversary celebration with Joycean fans from all over the world. 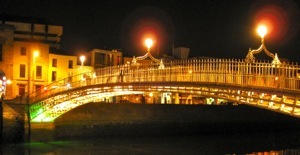 There's ample opportunity for other Dublin delights, too, such as sightseeing, shopping, and pub-crawling. 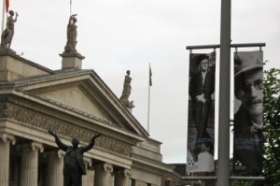 We will combine the two greatest literary celebrations in Ireland--Yeats's birthday festivities in Sligo and the Bloomsday celebrations in Dublin--into a truly memorable tour. June 16th is the day on which James Joyce's great novel Ulysses takes place. Each year here are events and celebrations all around the world to mark the anniversary. No place does it better than Dublin, where the novel is set and where you can still follow in the footsteps of Leopold Bloom and Stephen Dedalus. Join us for the 1119th anniversary celebration with Joycean fans from all over the world. 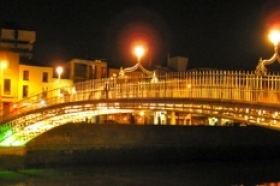 There's ample opportunity for other Dublin delights, too, such as sightseeing, shopping, and pub-crawling. 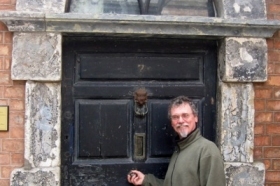 Led by Yeats and Joyce scholar, teacher, and writer, Daniel Burt, we will take advantage of the variety of talks, tours, and special events scheduled around Yeats Day and Bloomsday. We will literally walk through the seetings that inspired Yeats and the Joyce’s stories in Dubliners and the scenes of Portrait of the Artist as well as walking in the footsteps of Bloom and Stephen on their epic day-long odyssey around Dublin, culminating in one of the world’s greatest literary celebrations on Bloomsday itself. 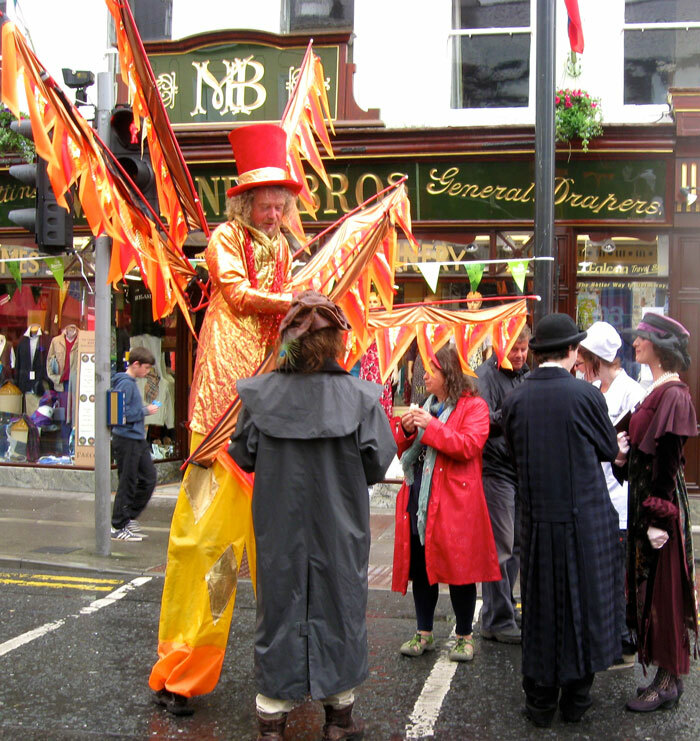 Yeats Day in Sligo and Bloomsday in Dublin should be on everyone's bucket list. 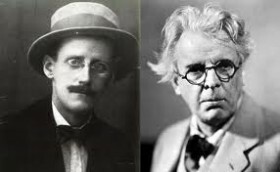 Join us for a unique celebration of all things Yeats, Joyce, and Ireland. 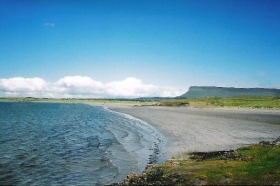 Pick up at Dublin Airport for the three hour drive to Sligo on Ireland’s magnificent northwest coast, the heart of Yeats Country and the landscape that inspired Ireland’s greatest poet. Stopping for lunch on the way, we will check into our hotel to rest before the welcoming dinner and a beach walk at Rosses Point and traditional Irish music in a classic Sligo pub to follow. After an orientation to the life and work of W.B. Yeats, we will take a coach tour of the scenery that inspired Yeats and is featured in many of his greatest poems: Rosses Point, Dooney Rock, Lough Gill, the Lake Isle of Inishfree, and Glencar Falls. Lunch will be in the seaside village of Mullaghmore before taking in the rugged beauty of Mullaghmore Head and the Gleniff Horseshoe. 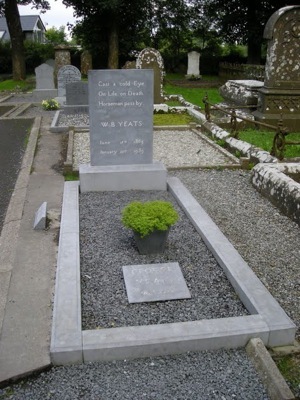 Our last stop before returning to Sligo town will be at Yeats’s grave in Drumcliff Churchyard. Dinner at a private home overlooking Lough Gill, hosted by Yeats’s expert and former president of the Yeats’s society, Damien Brennan. This is always a highpoint of our tours. 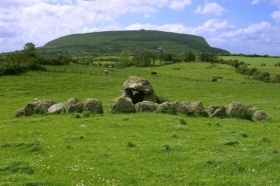 After a visit to the neolithic tombs at Carrowmore and an optional hike up Knocknarea to Queen Maeve’s Tomb and its breathtaking views, the afternoon is free to enjoy various recreational activities from golfing, hillwalking, seaweed bathing, horseback riding, or shopping and relaxing. Evening walking tour of Sligo town, followed by a traditional music seisun at a local pub. 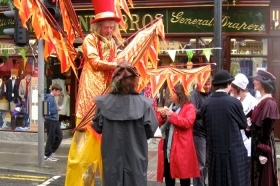 Participate in Sligo’s all-day (and into the night) Yeats Day celebrations, including readings, lectures, art exhibits, music, an Edwardian street fair, and all manner of activities honoring Yeats. Today we depart for Dublin, with a stop for coffee or tea at Markree Castle. After checking in to our hetel, dinner will be provided, followed by an evening historical stroll and Joycean pub crawl. A Joycean City Tour that begins with a Joycean literary tour of Glasnevin Cemetery (where the "Hades" chapter of Ulysses is set) before driving up to the seaside village of Howth (where Bloom proposed to Molly and she responded with her resounding "Yes"). Lunch is in Howth before returning to the city centre and a tour of the Joyce Centre and a walking tour to Eccles Street where Leopold Bloom lived and where there are many important sites related to Joyce’s life and works. Our Joycean tour ends with a pre-Bloomsday briefing in preparation of tomorrow’s big day. 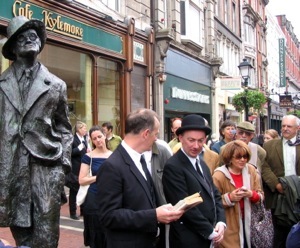 The Bloomsday celebration starts early at 8.00 am on Eccles Street where "Leopold Bloom" will take us through the "Calypso" chapter of the novel, retracing Bloom’s purchasing a pork kidney on nearby Dorset Street. 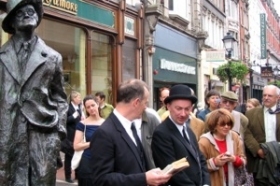 We will follow Bloom into the city center with readings along the way at important Joyce sites before a recreation of the "Lotus-Eaters" chapter of Ulysses. The afternoon will feature more recreations and readings and encounters with Joycean enthusiasts from around the world. A highpoint of every year’s Bloomsday celebration is a dramatic performance at Wynn’s Hotel followed by your opportunity to read your favorite passage from Joyce before a roomful of Dublin’s Joyceans. The evening ends downstairs in Wynn’s bar with recounting of the day’s many adventures. Today is your opportunity to sleep in, shop, or tour a multitude of Dublin sights: the National Museum, the National Gallery, the National Library, Kilmainham Gaol. 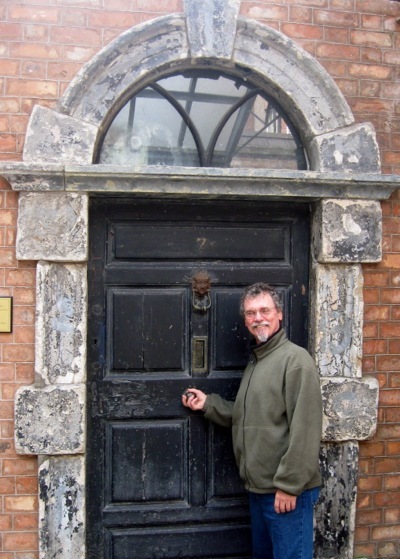 an Easter 1916 historical walk, shopping along Grafton, Nassau, and Kildare streets, returning to that one last pub that you swore you would revisit. The evening features a gala farewell dinner. What a Past Participant Says . . .
-the Grand Finale at Wynn’s where we you get to read your favorite passage! We finished this incredible week with a day trip to Glendalough. 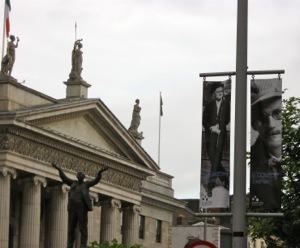 If you truly love Ulysses you can’t afford to miss Bloomsday in Dublin and you can’t afford to do so without Dan and Deborah.